Sega Mega Drive (Genesis) — 1994 г.
Super Nintendo (Famicom) — 1994 г.
Sega CD (Earthworm Jim Special Edition) — 1995 г. Game Boy — сентябрь 1995 г. Game Gear — ноябрь 1995 г. 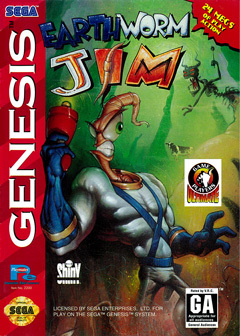 Windows (Earthworm Jim Special Edition) — 30 ноября 1995 г.
Sega Master System — 1996 г. Game Boy Advance — 11 июня 2001 г.